So I am doing something a little different today. I am writing a reaction to a video I saw recently. It is a video to your husband that I can relate to, even more now that I am pregnant with our 2nd child. It is a video about moms, mostly directed towards moms that stay at home with their young kids. It is about how at the end of the day the husband can get the last of the wife. All day long the kiddos get the best of you. You are running around, entertaining them, making sure they eat the appropriate meals at the appropriate times. Plus we all know that is only about 1% of what we do as moms. Part of the video says my makeup is smeared, and I’m tired looking, but I personally am not sure there is hope for my appearance anytime soon. With only 1 little cub at the present moment, I hardly do my makeup, haha! It is a video that says that us mommy bears that have a husband out there working outside of the home all day is still loved, we appreciate what you do even though we have to sneak more of our romance in with little children around. But as we all know these children are going to grow, they won’t always need us as much as they do now. While they are still little we need to cherish the time we have because although it does not always seem like it, it goes so fast. But the video also goes on to say that all we have ever wanted was this life together, we wanted to grow a family together and we have these children that drive us nuts but love more than anything. That when it comes time that these children need us less, we will flourish on the love that brought us together before these children came into our lives, we loved them 1st and we always will. It makes me happy to see this. It was a beautiful, very relatable little video. It is all true, because we love our children and would do anything for them, but also live for those little moments to sneak in our own romance. I have seen things online that say to put your spouse 1st, and it gets some people angry, and has a little bit of controversy between some people, but it is partly true. Putting your spouse first does not mean that both yourself and partner would not give your lives for your children. To me it just means to not forget that you and your partner are a team. These children of yours, as they get older, may go to the other parent just to hear a yes, but that is why communication between you and your partner are so important! Sure they won’t be happy to hear a no, but what will put a bigger toll on them later is if you and your spouse get torn apart by not making decisions together and end up growing apart. Even as your children are growing it is so important to keep that relationship with your partner strong for each other and to give your children a good and happy family life. Also, as sad as it is to think about not seeing those kiddos every day, when they are grown up and are beginning lives of their own, they won’t be around, it will feel weird at 1st. But it will be you and your partner again and that will be a new beginning for you. Keeping a strong relationship while raising children will help you continue to flourish for the rest of your lives. So of course while your children are small cherish those moments, they won’t last as long as they seem. But just know to appreciate your partner and to sneak in a little bit of that romance. How does this video or my reaction of this video make you react? How do you feel, and what are your opinions? 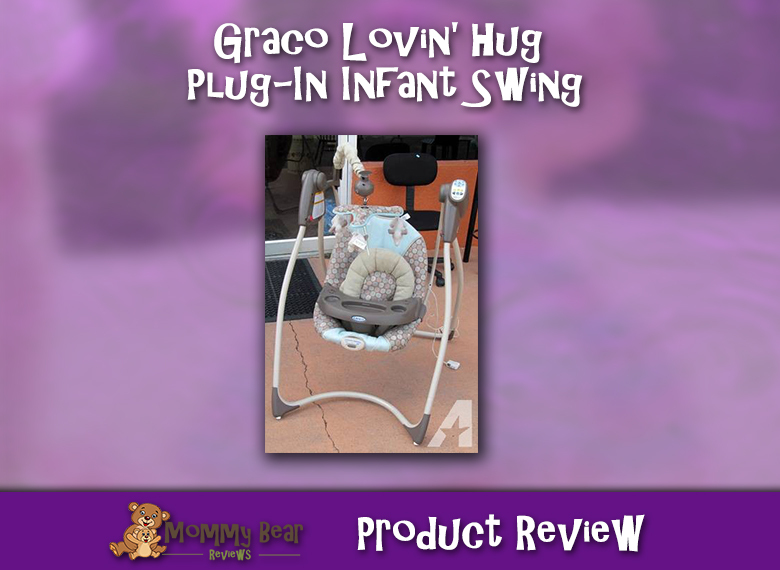 Graco Lovin’ Hug Plug-In Infant Swing is So Loved!